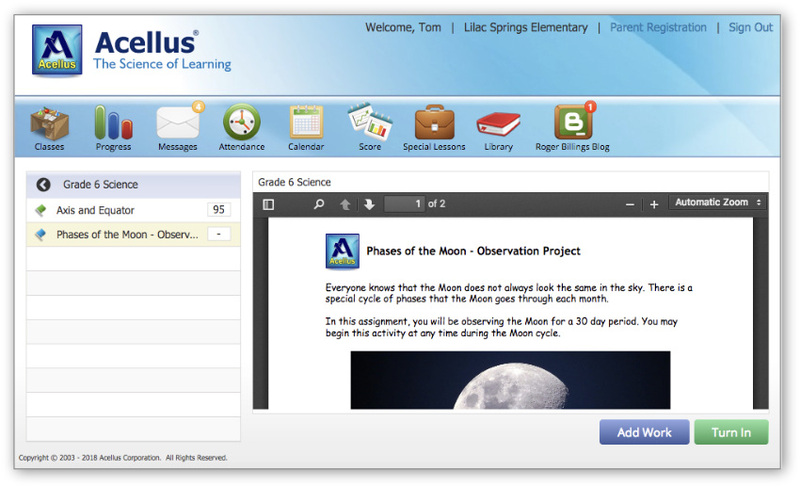 Acellus has just released some major changes in how Special Lessons are assigned to students and are managed by teachers in Acellus courses. Special Lessons are no longer assigned to students with “Due Dates.” Instead, they are integrated directly into the course and are assigned to the students as they progress through the course. This allows the Special Lessons to be aligned more tightly with the course material and also presents students with a less obtrusive interface. Another advantage is that it accommodates students enrolling into a course at any time during the school year and working at their own pace, as the Special Lessons are assigned dynamically. When a new Special Lesson has been assigned, it shows up with a “blue” flag. Once the student completes the assignment, the flag turns “green.” Note that upcoming Special Lessons are no longer viewable by students until they have completed that portion of the course. Without Due Dates, managing Special Lessons becomes much simpler for teachers. The updated Special Lesson page enables teachers to manage Special Lessons by course, allowing them to turn On/Off any lessons. All assignments that are “On” will be assigned to students as they work through the course. Lessons that are “Off” will never be displayed to students. 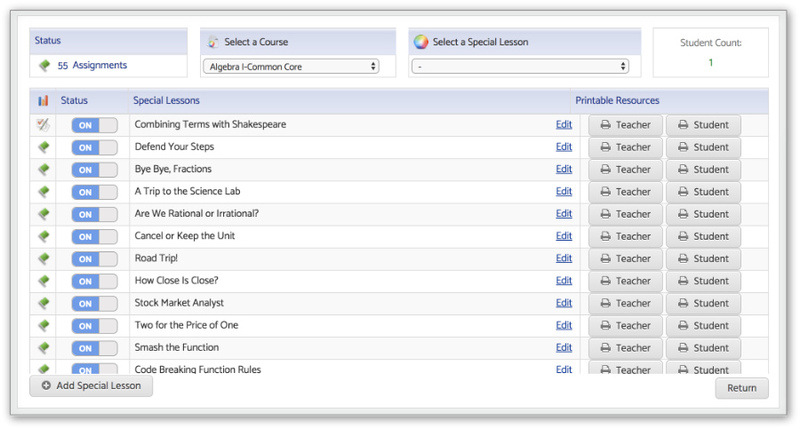 Teachers can also “Add Special Lessons” to upload their own “custom” assignments, which are now displayed on this same page and can be used by any classes with the same Acellus Course. Note: The “Needs Grading” flagging system has not been modified. Assignments that need to be graded still appear with a “red checkmark” icon. Clicking on a specific assignment allows teachers to manage it in greater detail, turning the assignment off for one class or for specific students. Teachers can also choose to work with their class all together on an Lesson no matter where the individual students are in the course. Clicking the “All On” icon allows teachers to print resources and to have the students submit their work through the system all at the same time. 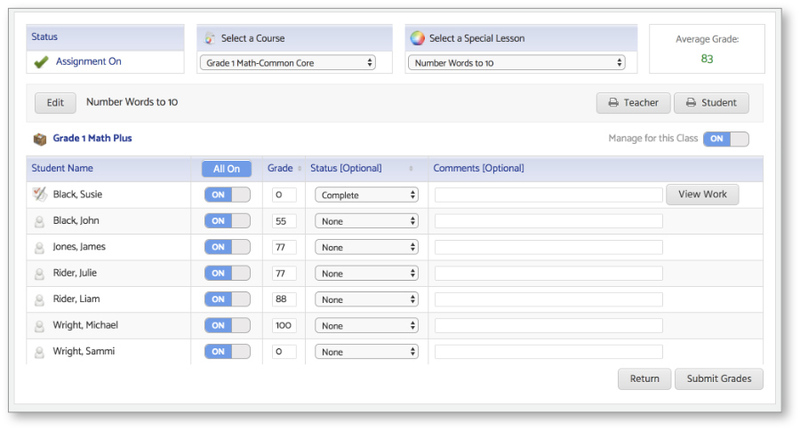 We feel these updates will dynamically change the experience of using the Special Lessons in Acellus courses.